Since 1982, the Illinois Cheerleading Coaches Association has provided outstanding opportunities to our member schools, coaches and athletes. Without the support of our Vendor Supporters, many of these opportunities would not be possible. The following Vendor Supporters have supported the ICCA through monetary donations and we would like to highlight these amazing companies! By taking advantage of the Vendor Supporter package, the following Vendor Supporters will advertise in our ICCA Championship Program, participate as a vendor or absentee vendor at our ICCA Conferences and be recognized here on our website. We thank these wonderful businesses for their support not only of the ICCA but our member schools, coaches and athletes! Ready. Set. Bedazzle. is the OFFICIAL Apparel vendor for the ICCA. The team at Ready. Set. Bedazzle. provides excellent, customizable garments boasting exciting designs accompanied with Rhinestone applications at ICCA invitationals and is also the Official apparel Vendor for the ICCA Championships. Garment sales from ICCA Invitationals support the ICCA Scholarship program. The ICCA, in conjunction with Ready. Set. Bedazzle., supports our member athletes with great pride. Join the ICCA and Ready. Set. Bedazzle. for another great year of outstanding ICCA Apparel options and continued support of the ICCA Scholarship program! ORDER your OFFICIAL 2019 ICCA CHAMPIONSHIP APPAREL NOW! Kestner Video and Music Production- Tuscola, IL. 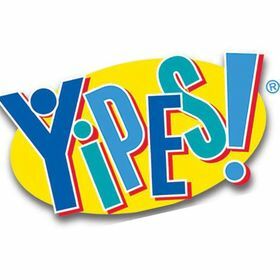 YIPES! Uniforms, Campwear, Wear, Bows! Forest Park, IL.